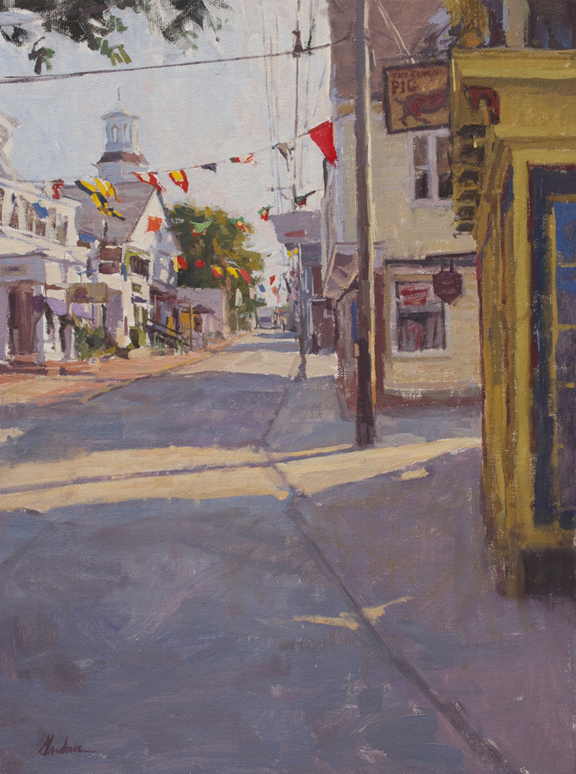 Provincetown would not have been found without the discovery of its artists, in addition to its numerous galleries. Several artists live here all year-round,transcending the town through their works. Here you can catch a glimpse of their several collections. 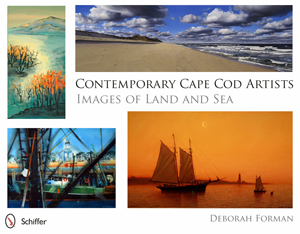 There is an insightful new book on today’s artists, Contemporary Cape Cod Artists: Images of Land and Sea by Deborah Forman. 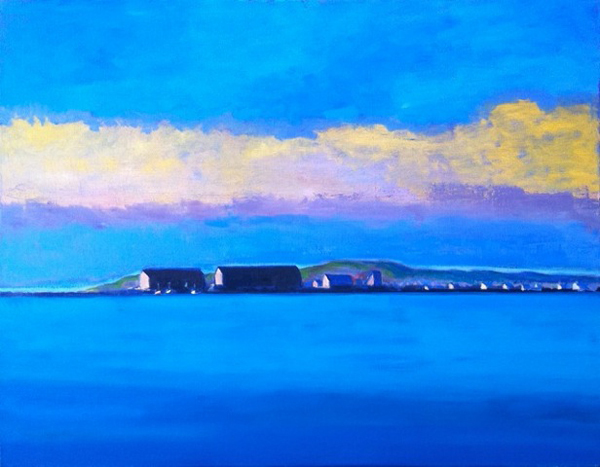 The works are by painters, sculptors, and photographers who focus on the glorious light filtered through the Cape’s skies, and are dazzled by the glories of nature in the Outer Lands. Many find mood or mystery in the peninsular landscape. Some artists look very specifically to the sea; others take to the land. Some take their inspiration elsewhere to illuminate other beautiful places, but always within a frame of reference of living on Cape Cod. Salvatore Del Deo studied at RISD, Vesper George School of Art, ASL (under Edwin Dickinson and John McPherson) and with Henry Hensche. He is engaged in a spirited dialogue with his work, responding to the deep questions presented by the paintings themselves. It is this challenge that has held Del Deo’s passion through the over fifty years of his painting career and has resulted in a diverse body of work. 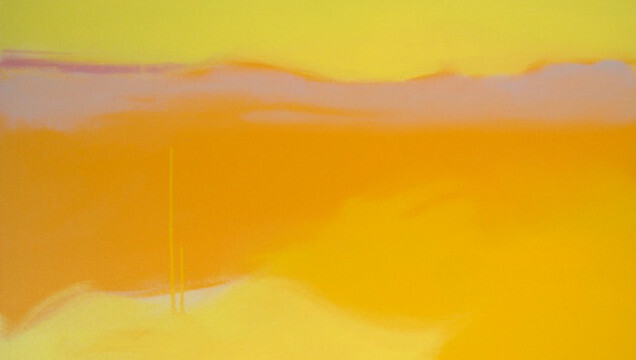 His style seems to traverse the continuum from the realistic to the abstract, with a natural fluidity available only to one who is thoroughly centered. 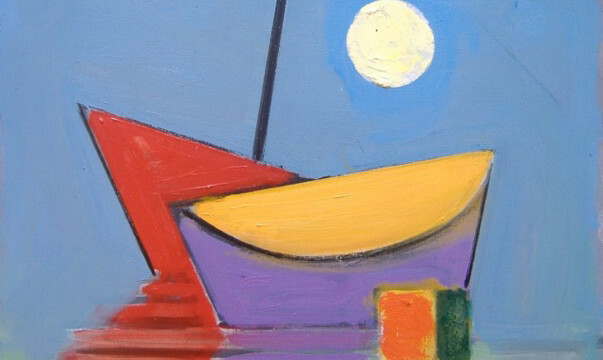 Del Deo has painted all the familiar scenes of his life at land’s end – fish, dunes, figures on the back beach, boats moored at the town wharf, trap sheds and lighthouses – made new for the viewer through the painter’s rich palette and soulful perspective. 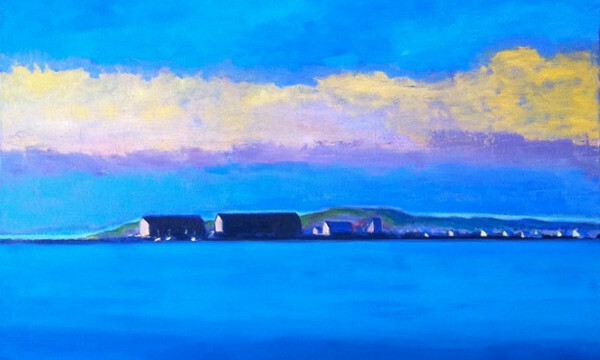 Paul Bowen, who grew up in a seaside town in Wales, lived and worked near the waterfront in Provincetown on Cape Cod for 30 years. He has always been interested in material with a history—wood he has scavenged that was once part of ships, houses, salt works, barrels, cable drums, or crates. His drawings and prints derive their imagery from his environment and he has created his own inks from squid, Xerox toner and walnuts. 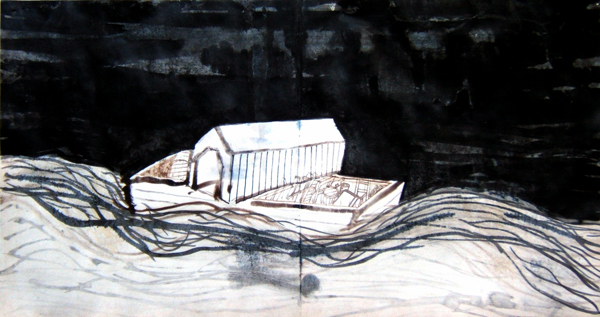 Many of his drawings merge images of covered bridges with wharfs. Bowen has been a recipient of fellowships from the Esther and Adolph Gottlieb Foundation, the Pollock-Krasner Foundation, and the Artist’s Resource Trust. He is a Visiting Professor at Dartmouth College. His work is in many private and public collections. Karen Cappotto is inspired by evidence of the handmade in a world where technology prevails and is known for her distinct way of combining vintage materials. Karen focuses on hand made one-of-a-kind decoupage glass plates and home accessories. 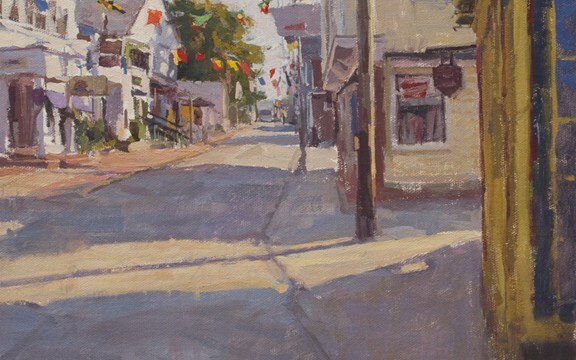 Originally from Syracuse, Karen studied at The School of the Museum of Fine Arts in Boston, Boston College, Oxford University, and at the Fine Arts Work Center in Provincetown. She had also worked as an artist in Ireland, Italy, and Spain. Her work is in public, private collections including PAAM and has received multiple awards and prizes for her mixed media constructions. Elspeth Halvorsen, like her mother and grandmother before, and their daughters and her own two daughters, has been making art since she was a very young child. 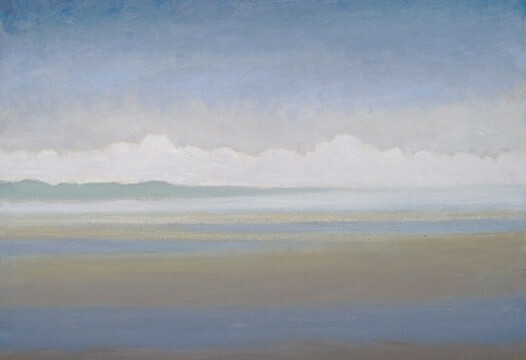 Elspeth and her husband, painter Tony Vevers, moved to Provincetown in 1955. Viewing her box constructions is a lot like a walk in the moonlight. What we know – or think – to be true in the hard brightness of daytime reality dissolves into an amorphous space of multiple possibilities and perspectives. 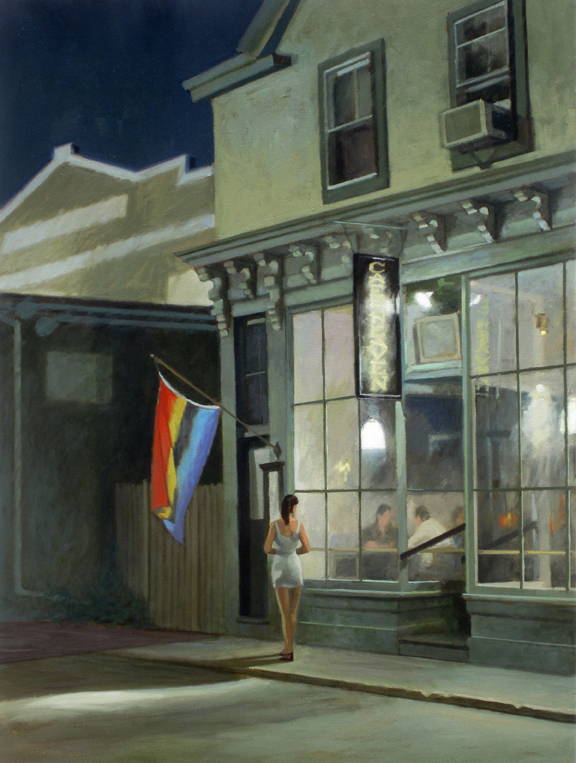 Halvorsen’s work is often about her artistic response to global and personal events, September 11th or the celebration of gay marriage. Halvorsen work in her studio/home that was once the home of Mark Rothko. 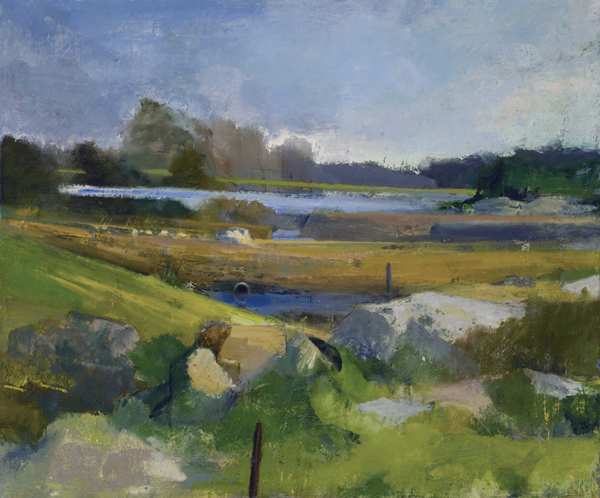 Brenda Horowitz’s landscapes evoke, as Boson Globe art critic Cate McQuaid observed, “more of a dream of summer than summer itself.” her gift is to be able to transform a wonderful view of land, sky, water — and an occasional brilliant white house — into powerful, expressionistic symphonies. 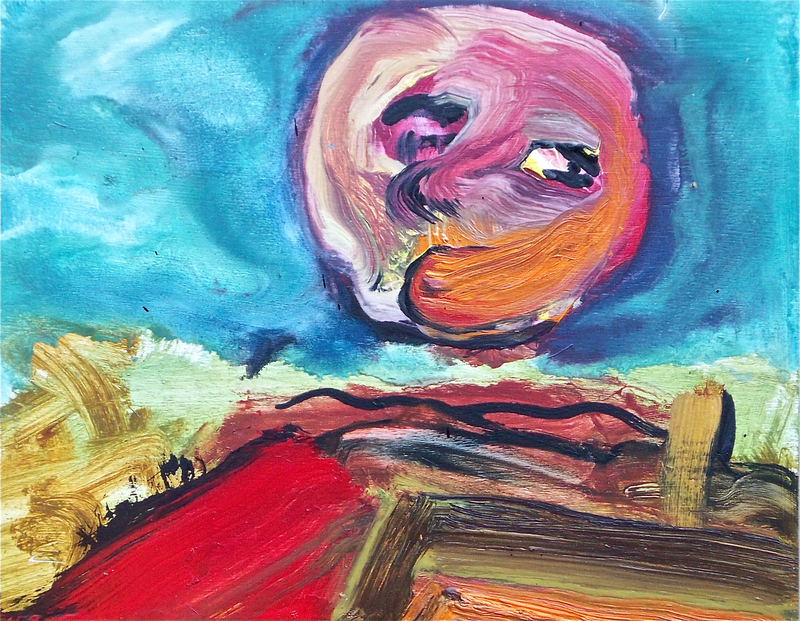 (red and magenta skies, lavender shrubs) reflects both her complete command of color (perhaps awakened in her years of study with master Hans Hofmann) and her intense connection to the Cape she knows so well. Building on the tradition of some of the greatest American modernists (Milton Avery has come to critics’ minds and Rothko’s later color field work), Horowitz’s paintings remind the viewer that art speaks to us with power, majesty, and offers us something to think about or feel. Donald Beal was born in 1959 in Syracuse, New York, and grew up in Westford, Massachusetts. He studied painting at the Swain School of Design in New Bedford, Massachusetts, and received an MFA from Parsons School of Design in 1983. He moved to Provincetown, Massachusetts in 1985 and continues to live there with his wife Khristine. Beal is a Professor of Fine Arts at the University of Massachusetts in North Dartmouth where he as taught since1999. He is one of two recipients of the 2013 Lillian Orlowsky William Freed Fellowship Grant (LOWF). Joyce Johnson started carving in wood when she was about 10 years old. It was her first love and continues to be although she also works in clay, direct plaster and other materials to be reproduced in bronze. She spent most of her early childhood in Concord, Massachusetts, and there developed a passion for literature and writing inspired by the many literary figures that lived in that historic town during the 19th Century. Uncertain about what profession she wished to pursue, she went to Madrid, Spain, when she was 26 years old and became enraptured with the country, remaining there for two years. She began to study sculpture seriously with one of Spain’s most respected sculptors, Don Ramon Mateu, who encouraged her to return to America to continue her studies. She was accepted at the School of the Museum of Fine Arts in Boston from which she graduated with honors in 1962 and completed a graduate teaching fellowship there the following year. Ms. Johnson then returned to the family home in North Eastham, starting the School of Sculpture there that evolved into Truro Center for the Arts at Castle Hill. 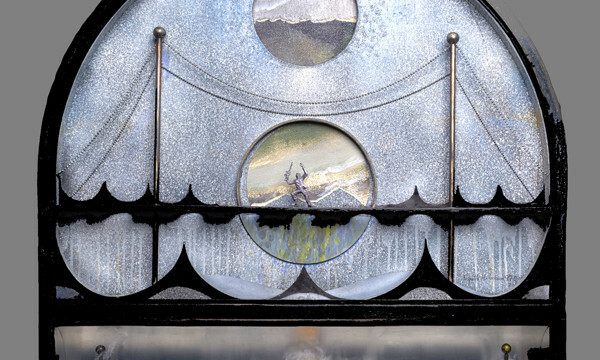 As Castle Hill’s founder and first president and director, she directed the Center for 10 years, turning over the nonprofit educational institution to a membership-elected board in order to have more time for sculpture. Since then she has written for The Provincetown Advocate and The Cape Codder. She also produces an oral history program — the Sands of Time — on WOMR-FM in Provincetown and teaches sculpture at Castle Hill where she serves on the Board of Directors. Ms. Johnson maintains her sculpture studio in North Eastham and teaches privately. 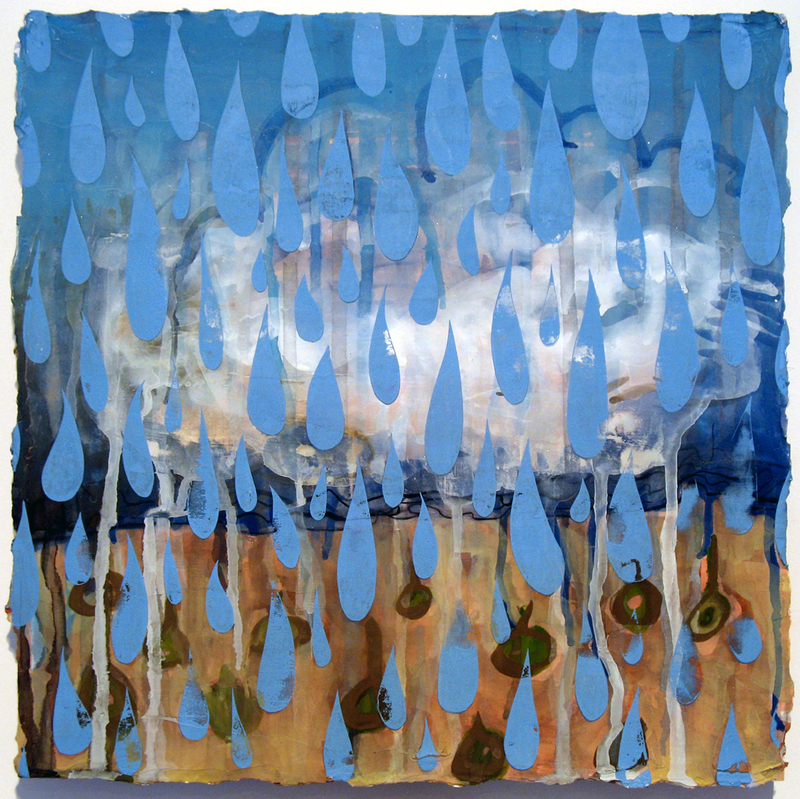 She has had a number of one-person show in New England, including at the Cape Cod Conservatory in West Barnstable, Cushing Academy in Ashburnham, Amherst College in Woodstock, Connecticut, and Wellfleet Art Gallery in Wellfleet. 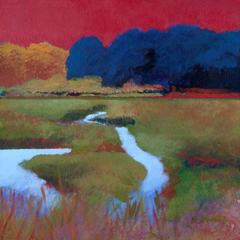 Her work has been included in group shows including the Museum of Fine Arts in Boston, Cape Museum of Art in Dennis, Provincetown Art Association and Museum, Ethel Putterman Gallery 8 in Orleans and Tanzer Gallery in New York City. Ms. Johnson has received reviews in New York Review, Cape Cod Times, Cape Arts and the Boston Globe, among others. She has been commissioned for public sculptures for Probus Gardens in Cornwall, England, and at High Head public lands in North Truro. Maryalice Johnston earned a BFA at Ringling School of Art, Sarasota, FL in 1976, and an MFA at Pratt Institute. She has been in residence at the MacDowell Colony and at the Fine Arts Work Center in Provincetown. Since 1997 she has lived and worked in Provincetown. She is a member of the Provincetown Art Association and Museum, and a member of BUTTER, a group of musicians experimenting with noise and sound. 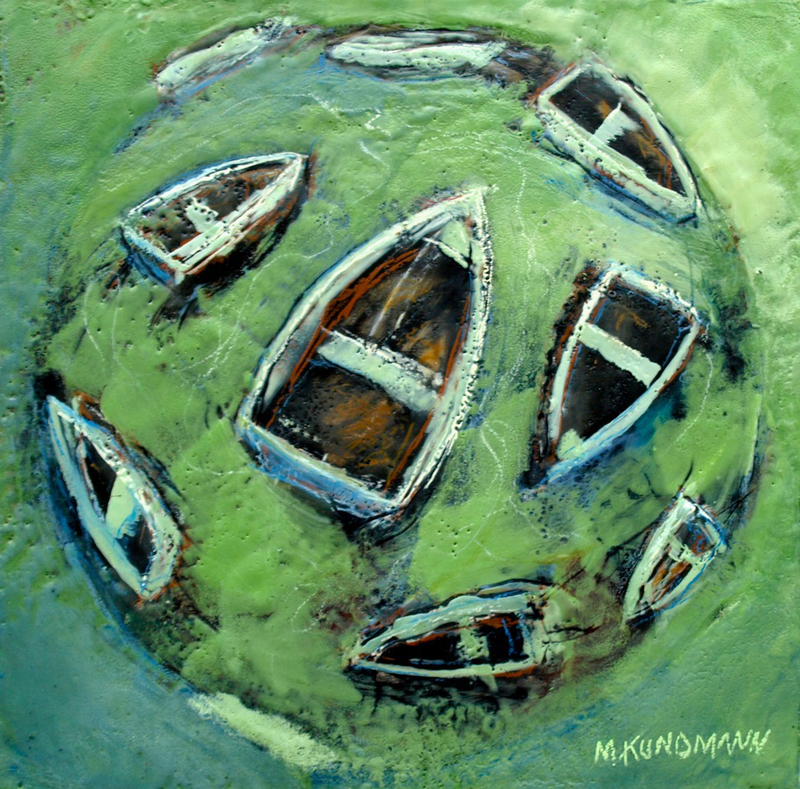 Marc Kundmann’s Artist’s Statement: “Before I embarked on my adventure in painting, I asked an artist I respected for his thoughts on where to begin and how to to approach a painting. His best advice: don’t try to paint a feeling or specific emotion. Just paint. The emotional quality will come through. 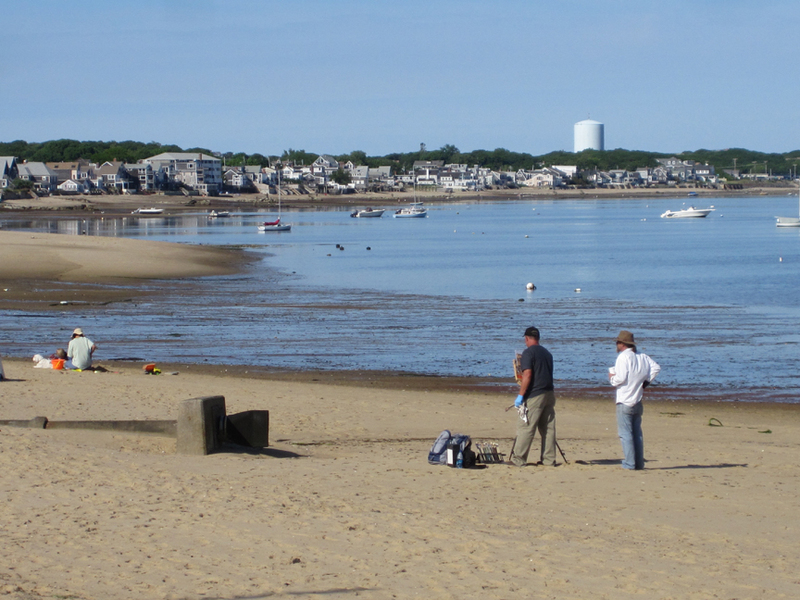 Keeping this in mind, I began to paint my surroundings, the wild beaches of Truro in particular, en plein aire. 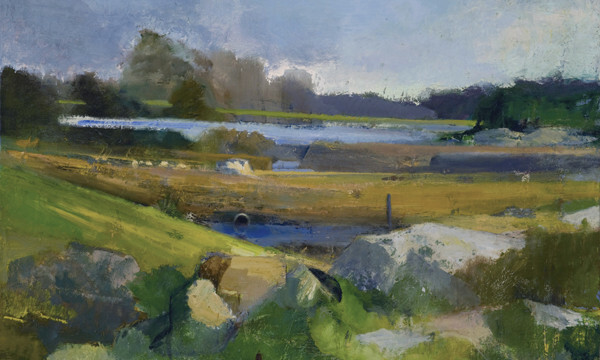 I studied and workshopped with fine artists connected to the long tradition of painting on the Cape including Robert Henry, a student of Hans Hofmann, and Fine Arts Work Center Fellows Jim Peters, Bert Yarborough and Richard Baker. Through them I learned to explore materials, free myself from the constraints of representing the real world and work in a more expressive way, responding to color and composition and creating work from both understanding and emotion. 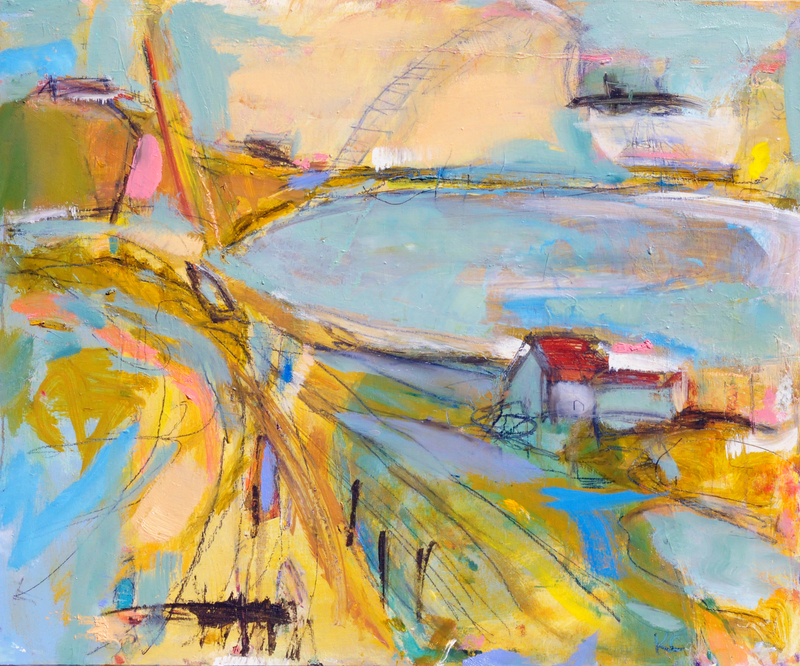 I am also particularly influence by the Bay Area Figurative Movement including painters David Park, Wayne Thiebaud and Richard Diebenkorn. Malicoat s continually drawn to what we tend to visually take for granted. Although this most often results in paintings of studio interiors and still lives, it is not unheard of for something outside to catch her eye. 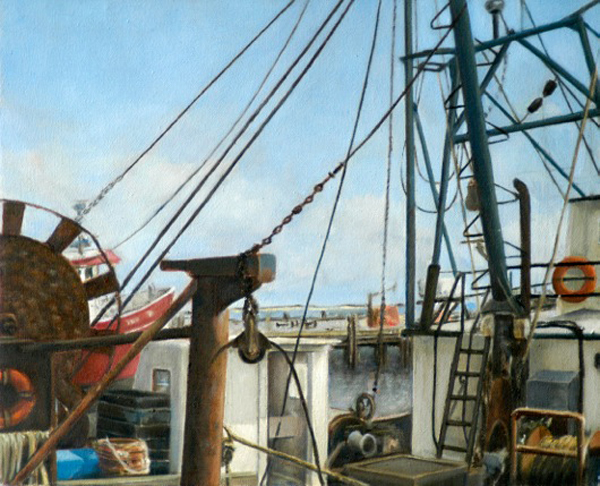 Recently she paused to make a series of oil paintings of Provincetown fishing boats. 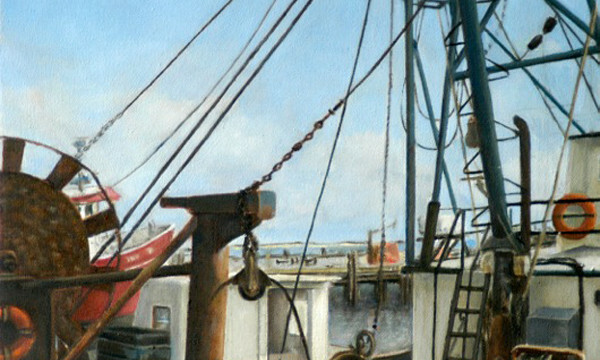 The boat paintings, oil on canvas mounted on panel and similar in size to her interiors, depict a personal and intimate view of the fishing boats while capturing the expanse of ocean and sky they work in. These are generous, articulate paintings – traditional in their formal definitions and contemporary in their execution. Light, the color blue, and the right amount of paint make this new series exhilarating to see. The subject of something passing, a fishing fleet, a diminished vocation, a picture of balance and weather, makes them paintings of memory and desire. 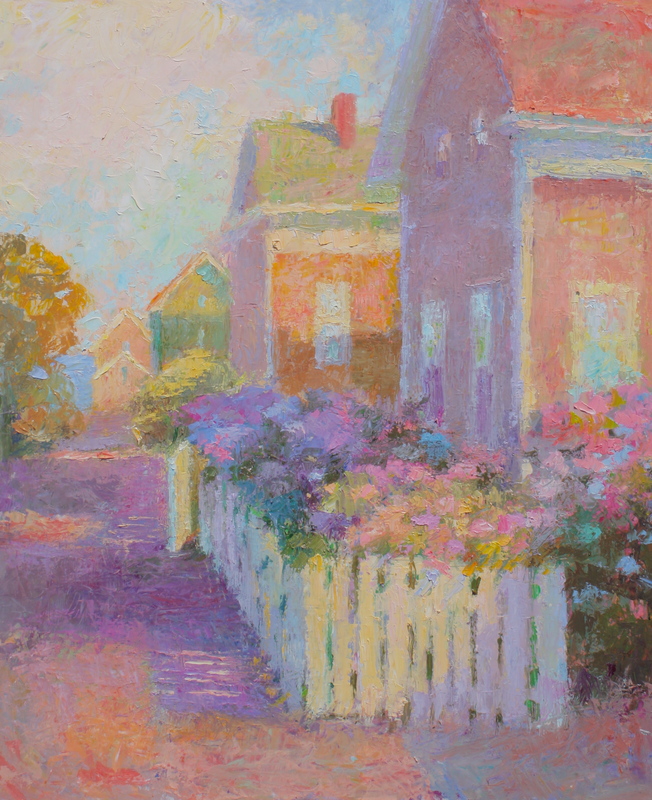 After graduating from The Boston Art Institute, Hilda Neily met Henry Hensche and became fascinated by the artists use of color, so much so that she spent the following 15 years studying light and color with Hensche at the Cape School in Provincetown. Hilda Neily started showing professionally in 1969. Since then her collector base has grown extensively. Her paintings are included in prestigious collections nationally and in Europe.Her work has shown in galleres and museums across the U.S. and in England. Hilda Neily continues to study color in the natural light working outside on location and studying still -life in the north light in her studio. 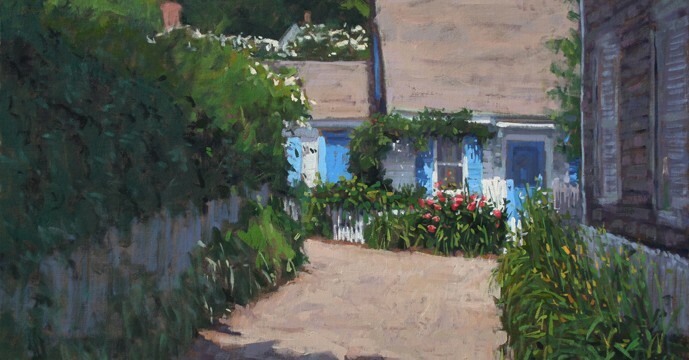 She explores various mediums and is currently painting and teaching at The Cape School of Art in Provincetown where the school continues for over 100 years. 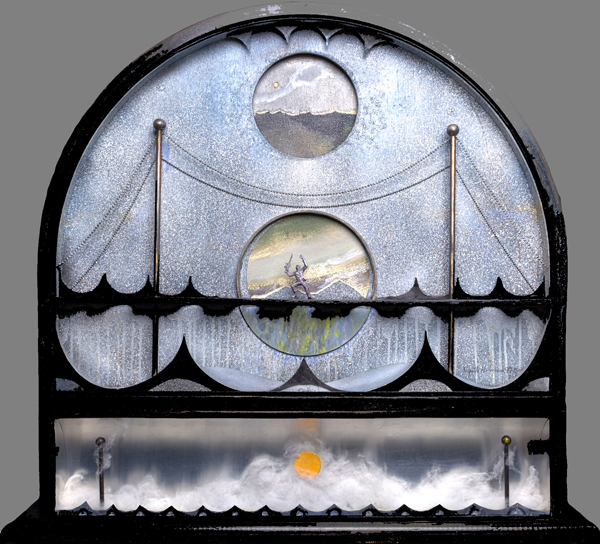 Sky Power is an abstract and figuraive painter, printmaker, piano tuner, and woodworker. Active in the arts since childhood, Sky studied figure drawing with Ed Gothberg at Casper College in Wyoming, and continued her studies in Fine Art at Cornish School of Allied Arts in Seattle, Washington. 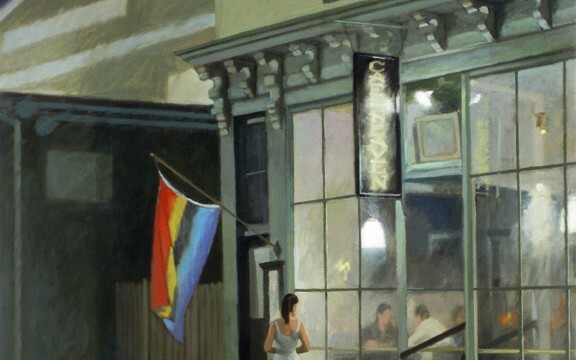 An exhibiting artist since 1974, Sky has shown her work in galleries in Provincetown, Boston, and Washington, D.C.
Paul Resika began exhibiting his paintings in New York City in the 1940s. He has had many dozen one-man exhibitions in important galleries and museums and his works have been included in hundreds of group exhibitions. Resika chaired the Parsons School of Design MFA program from 1978-1990, is a member of the National Academy and a former student of Hans Hofmann. Resika’s work is pestigious collections of dozens of museums and corporations throughout the United States and the world, including the Metropolitan Museum of Art, Museum of Modern Art, National Academy, National Museum of American Art, Washington, DC., Palace of Culture, Poland, Whitney Museum of American Art and numerous others. Frank Gardner was born and raised in Poughkeepsie, New York. He graduated from the Rhode Island School of Design in 1986 with a BFA in Painting. A desire to find true inspiration for his paintings eventually led him to México. He has been living in México since 1990 and now resides in San Miguel de Allende with his wife and daughter. 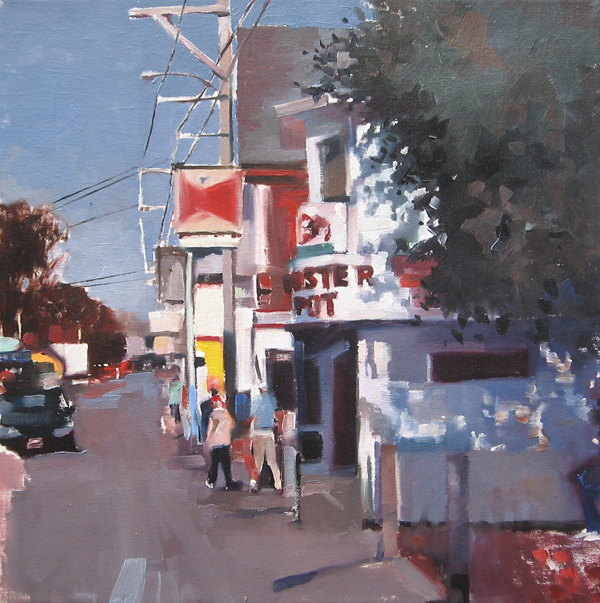 Gardner paints on location and in the studio using paintings or sketches done on the spot and or photo references. 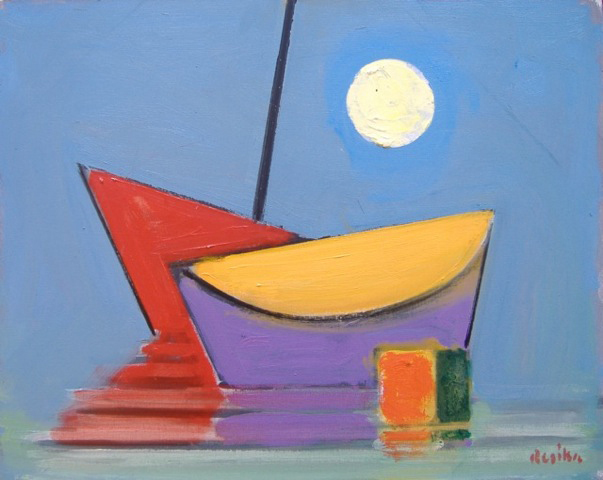 His style adeptly captures his subjects’ moods and emotions, whether it be paintings of dramatic landscapes, colorful marketplaces, or boats in a harbor. 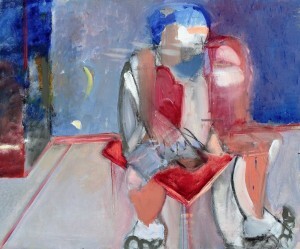 The combination of confident brushwork, dynamic compositions and lively color invokes true character in Frank’s work. México inspires a large amount of Gardner’s paintings. However, traveling and painting is something that he loves to do. “A fresh set of eyes on a new landscape is good for the art spirit.” Frank says, “It pushes me in my work with new challenges”. 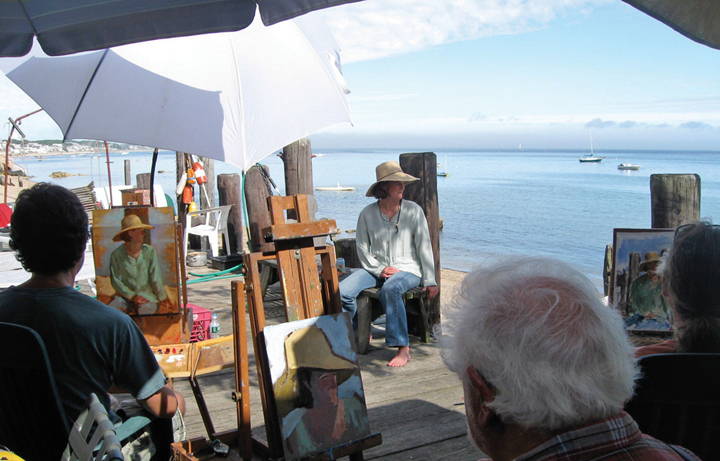 Cape Cod is a frequent destination for his painting trips. 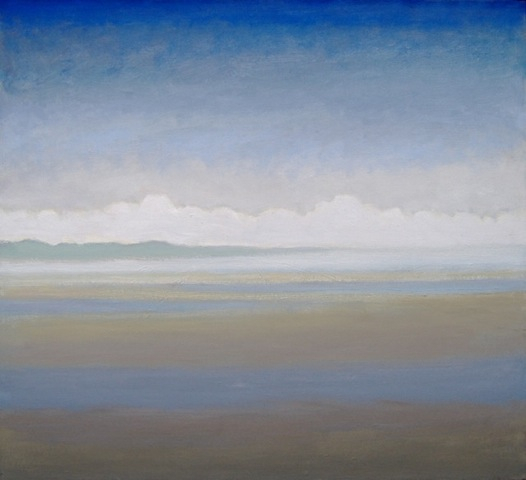 Other recent locations he has painted include the coasts of Maine, Florida and México. Gardner’s work is part of many fine collections across the United States, México, Canada and Europe. 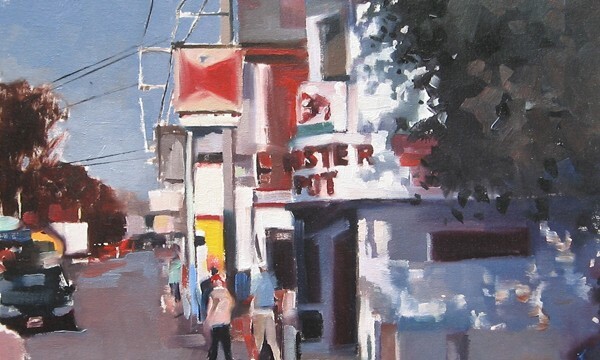 Laura Shabott is a multi-faceted Provincetown artist who is actively engaged in the arts colony. She considers figure drawing the foundation of her studio practice and monitors the Chester I. Solomon Life Drawing at the Provincetown Art Association and Museum (PAAM). Shabott is represented by Four Eleven Gallery and will have a solo show of her paintings and drawings in September of 2018. 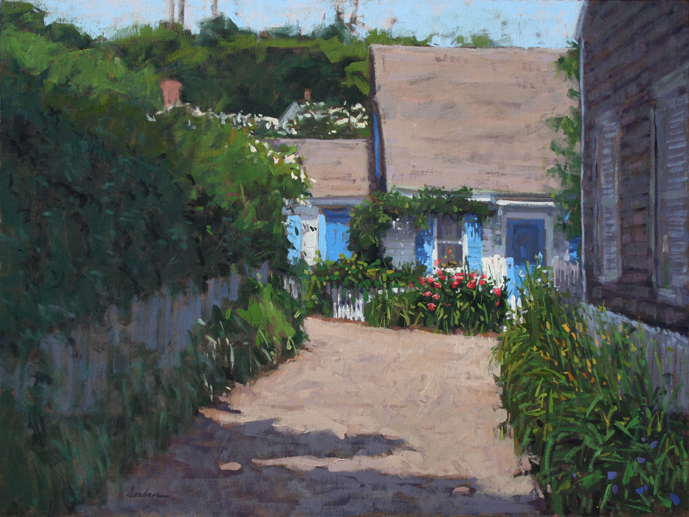 Paul Schulenburg is an internationally collected artist whose work has shown in the Hopper House Museum, twice in solo shows at the Cape Cod Museum of Art, and in many group exhibitions at CCMA, Provincetown Art Association and Museum, and Cahoon Museum of American Art. He has appeared over a dozen times in respected national art publications including on the cover of American Art Collector. Schulenburg is a first place prize-winning Copley artist, a juried member of Oil Painters of America and was commissioned by the Isabella Stewart Gardner Museum to create a portrait of museum trustee Eliot Forbes.For 20 years, Paul created award-winning art for publication worldwide. His client list included: Digital Equipment Corporation, Cigna, Fidelity Investments, Hewlett-Packard, IBM, Lucent Technologies, Sunoco, TIME, U.S. News and World Report, The Wall Street Journal, Columbia Journalism Review, Cahners, Prentice Hall, Houghton Mifflin, and Ziff-Davis. Paul earned a BFA in painting at Boston University School of Fine Arts where he studied with Joseph Ablow, Sidney Hurwitz, and John Wilson. Boston University provided an educational foundation that emphasized the fundamentals of classical art training: anatomy and form, color, composition and draftsmanship. Schulenburg’s oils can be found in prestigious collections throughout the United States, in Canada, Europe and Hong Kong. Paul is the original planner of the “Creative Convergence” traveling painting adventures. 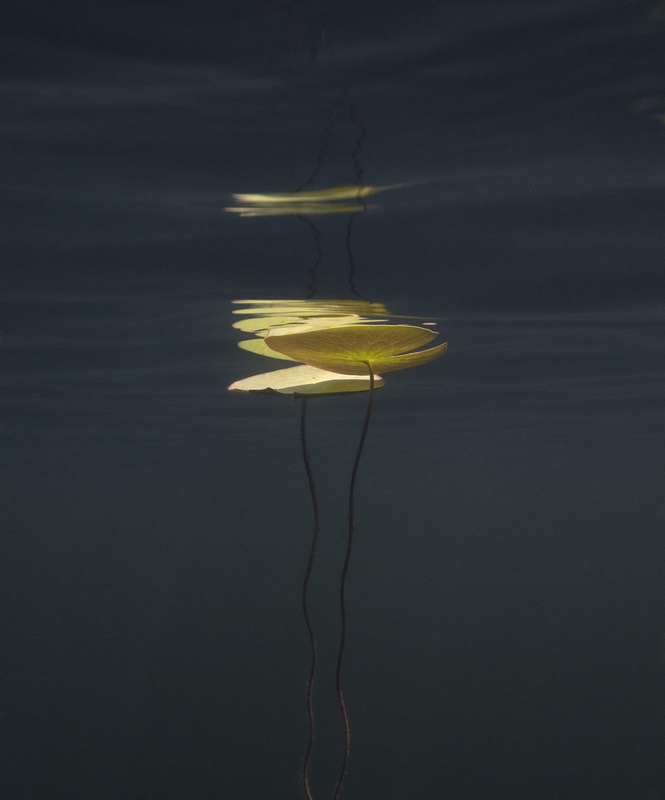 Nature is the inspiration for much of William Scully’s photographic work and he enjoys seeking out and probing into the hidden areas of the natural world. He is particularly drawn to water and conditions with unusual light and these elements are featured in some manner in most of his compositions. He has won the Nature Photographer of the Year tite in the International Photography Awards and been nominated for a Lucie Award. 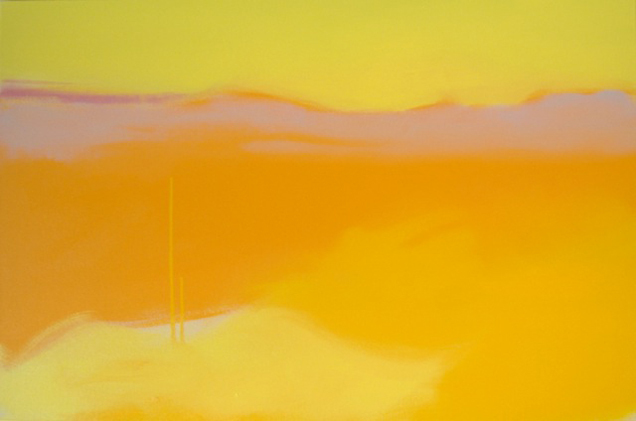 As art critic Margaret Sheffield noted, Peter Watts “expresses thought, emotion, and mood through color combinations,” working with high contrast and simplified form. Berta Walker says, “these paintings impart the spiritual abstracted light of a Rothko painting.” Watts is an unusually exciting painter, with fresh, deeply understood perspectives on how to approach his subject. A sophisticated painter of seemingly simple subject matter, Watts represents some of the best in the continuing evolution of American modernism: “I am building a painting with as little form as is possible. The viewer will find a small truth in the work and if this happens, the painting is successful. Bert Yarborough has a degree in Architecture from Clemson University and an MA and MFA in Photography from the University of Iowa. He is currently an Associate Professor in the Department of Fine and Performing Arts at Colby-Sawyer College in New London, NH where he teaches Drawing and Painting. A former two-year Resident Fellow at the Fine Arts Work Center in Provincetown, MA he served as Visual Arts Program Coordinator for four years and is now serving as Chairman of the Visual Committee. He has received two NH State Arts Council Grants in Painting, an NEA Fellowship in Sculpture and a Fulbright Fellowship to Nigeria, also in Sculpture. A BIG thank to Helen Addison from Addison Gallery in Orleans who gave me all the informations to create this section.